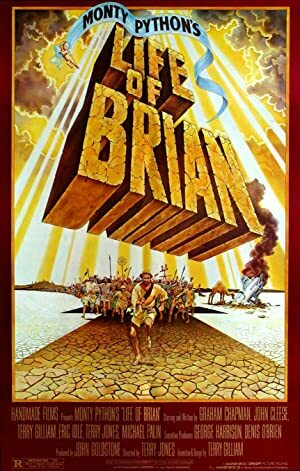 Monty Python’s Life of Brian (1979) – What's New on Netflix Canada Today! Born on the original Christmas in the stable next door to Jesus, Brian of Nazareth spends his life being mistaken for a messiah. The story of Brian of Nazareth, born on the same day as Jesus of Nazareth, who takes a different path in life that leads to the same conclusion. Brian joins a political resistance movement aiming to get the Romans out of Judea. Brian scores a victory of sorts when he manages to paint political slogans on an entire wall in the city of Jerusalem. The movement is not very effective but somehow Brian becomes a prophet and gathers his own following. His fate is sealed however and he lives a very short life.